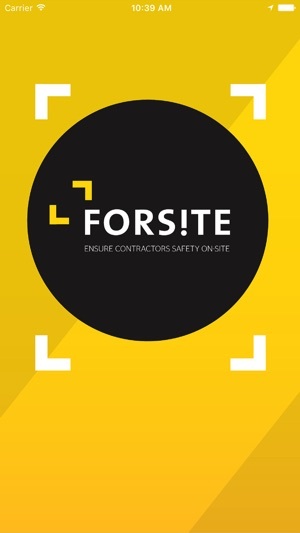 Use Forsite to manage your contractor’s safety. Because where safety’s concerned hindsight is too late. 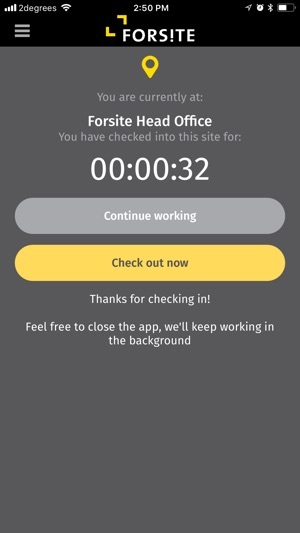 Forsite is app based solution that provides everyone involved with the managing and maintaining of property a real time view of contractor’s compliance, safety and whereabouts at a monitored site. 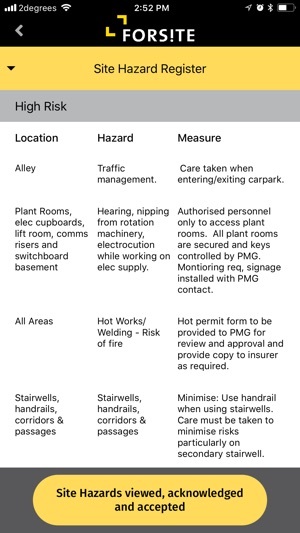 Safety centres around planning and all parties having the right information. 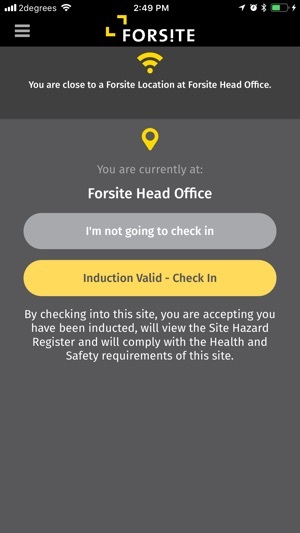 Forsite ensures only inducted contractors are authorised to be onsite, provides them with the information they require to safely carry out their job on your site, and provide you with live information regarding their whereabouts and safety onsite. Please note continued use of GPS running in the background can dramatically decrease battery life. View site information, get gps directions and much more!